Hold off on that funeral dirge for Macy's. The department store isn't dead yet. Macy's (M) topped Wall Street's profit forecasts Tuesday and provided a healthy outlook for this year. The results strongly suggest there is still room for traditional stores in the mall in a world increasingly dominated by the likes of Amazon (AMZN) and Walmart (WMT). Macy's chairman and CEO Jeff Gennette said the company was "encouraged" by improvement at the company's brick-and-mortar stores and continued growth in online sales. Gennette said digital revenue posted a double-digit percentage increase for the 34th quarter in a row, a run of more than eight years. And the company is still investing heavily in its Bluemercury chain of specialty beauty stores and the discount outlet Backstage. Macy's said it opened 36 Bluemercury stores and 30 Backstage stores last year, even as it closed 16 Macy's stores. Gennette added during a conference call with analysts that Macy's plans to open 100 more Backstage locations this year, including in malls. Macy's is also selling real estate to shore up its balance sheet. The company said it raised $411 million last year and $1.3 billion over the past three years by getting rid of some stores, warehouses and parking garages. 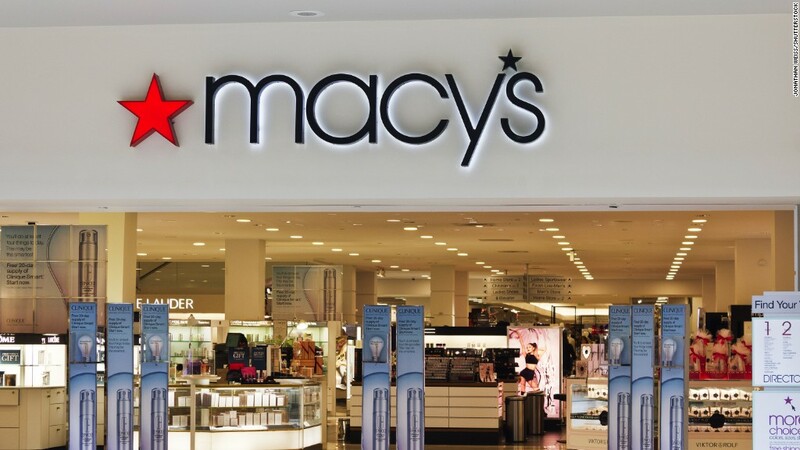 Macy's is also working with real estate company Brookfield Asset Management (BAM) on other transactions. Macy's said Tuesday it is selling several floors in its State Street store in Chicago to a real estate fund backed by Brookfield for $30 million. Brookfield plans to convert the floors into office space. All this is good news for Macy's. But one analyst said Macy's needs to do more before its turnaround qualifies as a true Miracle on 34th Street. "There is a long tail of shops that look dated, are in sub-optimal locations, and where the customer experience is poor. Macy's must remedy this if it is to transform the business," Neil Saunders, managing director of GlobalData Retail, said in a report. Nonetheless, the real estate transactions and improved sales outlook are two reasons Wall Street has fallen in love with Macy's again. The stock surged nearly 12% in early trading before pulling back a bit. Macy's has soared more than 45% in the past six months. Department store chains Kohl's (KSS), Nordstrom (JWN) and JCPenney (JCP) — which will all report results later this week — rallied as well Tuesday. Another chain, Dillard's (DDS), rose 12% too after it also posted strong quarterly results. Investors are clearly betting that Macy's wasn't the only traditional retailer that had a happy holiday season.